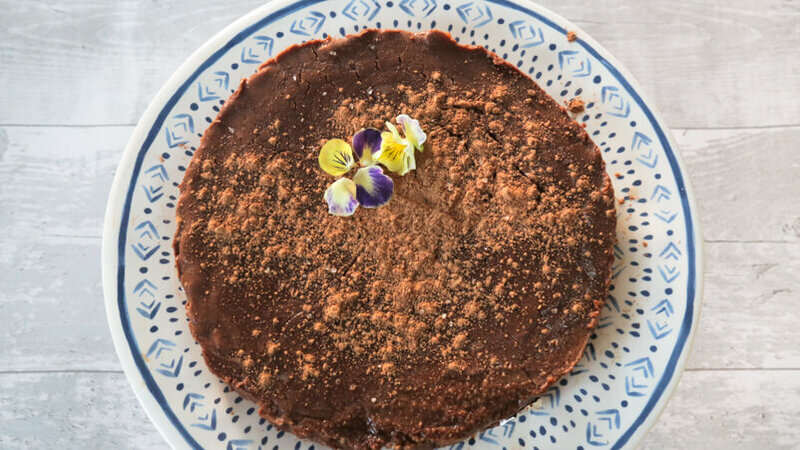 I kept the recipe fairly simple and decorated it with salt flakes, raw cacao powder and some pretty pansies for the photogenic touch. Although this recipe could be easily manipulated to suit different tastes, you could decorate it fresh raspberries, coconut shavings, dried fruits or nuts, so many delicious possibilities! Other toppings such as cacao nibs, fresh berries, coconut shavings, chopped nuts etc. Place all cake ingredients in a food processor and process everything until it's properly mixed together and the mixture starts to form a dough. 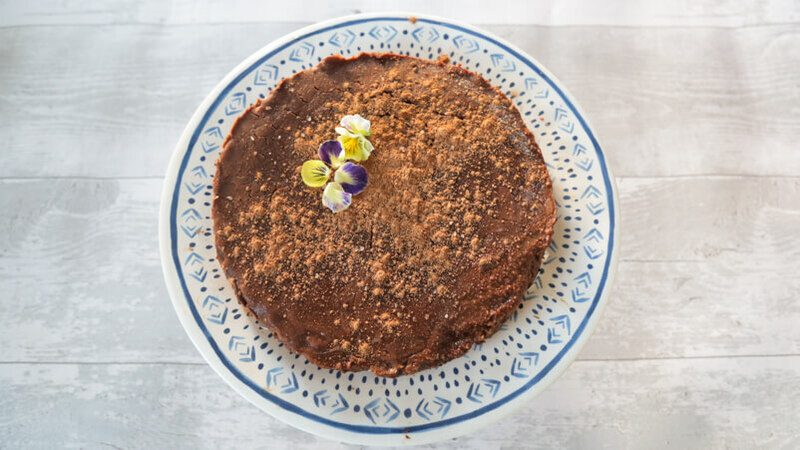 Place all of the ingredients into a springform pan (or a any cake pan, just ensure you use baking paper to ensure you can get it out easily) and press down using your hands or a wooden spoon. Put the cake in the freezer whilst making the topping. Place the cake in the freezer and let it set for a minimum of two hours. Carefully remove the cake from the pan and add any additional toppings. Keep the cake in the fridge until it's ready to serve. Some of the key ingredients I've used are from Indigo Herbs, one of my favourite superfood brands. 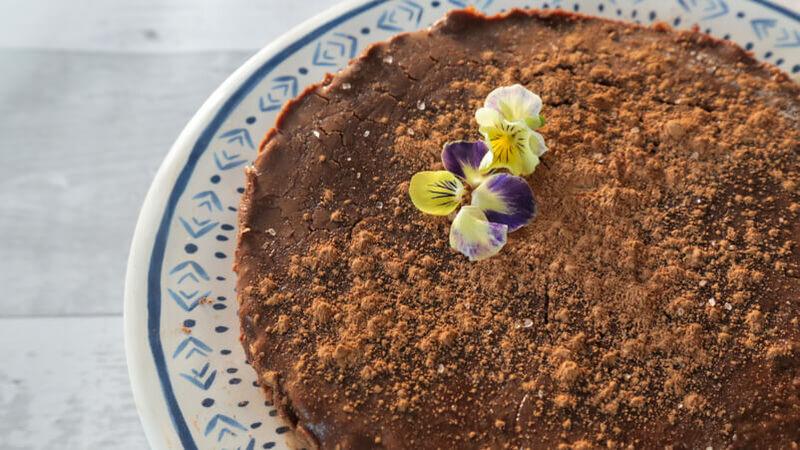 Their ingredients are of very high quality and have really helped to bring out the delicious flavours of this cake. I based this recipe on one that I found by the talented Unconventional Baker. 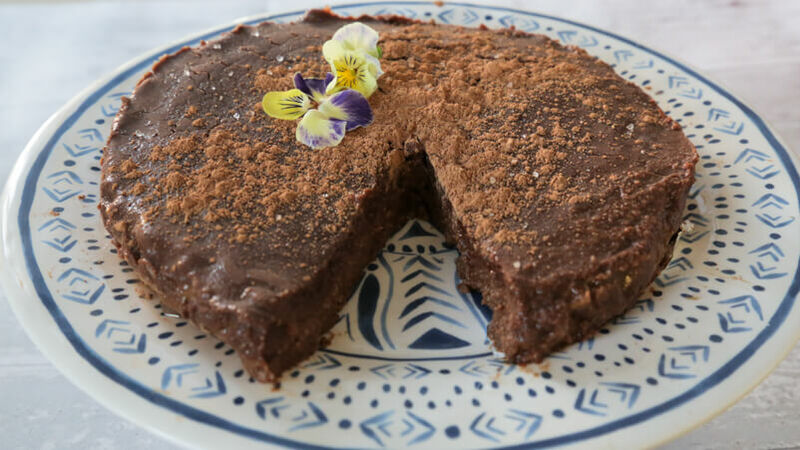 I hope you enjoy this nutritious and much healthier raw chocolate torte! 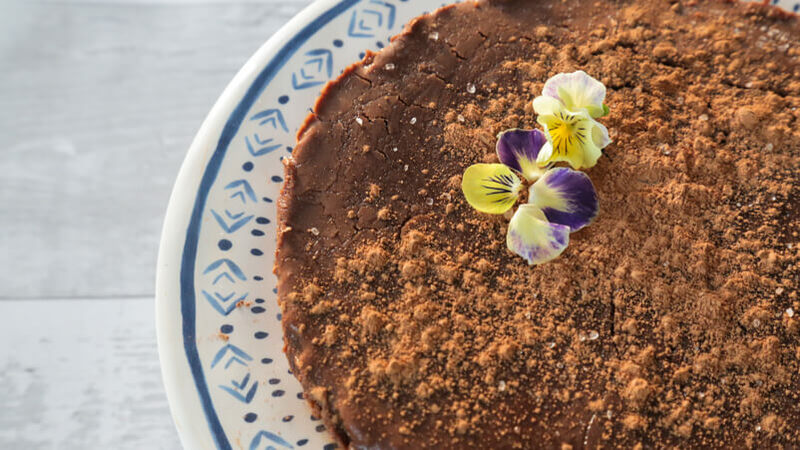 Who would have thought that you can eat delicious chocolate cake and don't feel guilty about it? !